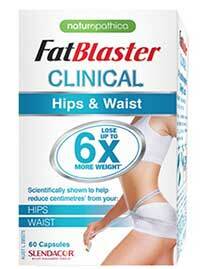 FatBlaster Clinical – Claims you can lose up to 6x more weight around the hips and waist. Scientifically shown to help you reduce your body weight. Why You Might Buy It: Made by a highly reputable company with a proven track record. Why You Might Not: The formula is lack lustre – the key ingredients listed are not the most beneficial for weight loss. 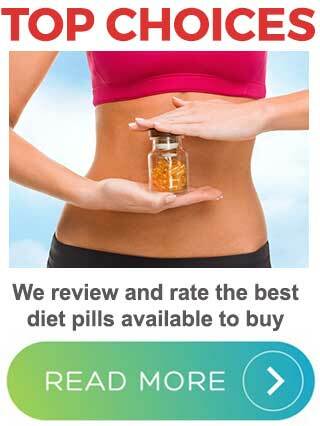 Our Opinion: We have a recommended diet pills list and FatBlaster Clinical does not enter. FatBlaster Clinical is just one of many weight loss supplements produced by Naturopathica and marketed under the FatBlaster brand name. We’re going to begin our review of FatBlaster Clinical by stating the product appears to injected new life into their marketing campaign. At one point it looked as though FatBlaster Clinical was about to be discontinued – new stock levels have appeared now. Editors Comment: The FatBlaster range has always been popular but the ingredient profiles are starting to look dated and subsequently weaker. 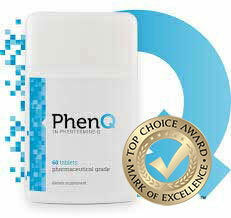 We are using PhenQ as our benchmark now – a multi benefit diet pill that can attack the 3 major causes of weight gain. I make no apologies for positioning PhenQ above! What Is Naturopathica FatBlaster Clinical and How Does it Work? There no longer appears to be much information available about how this product is intended to work. The sites that still have stock to sell are not exactly generous when it comes to their product descriptions. 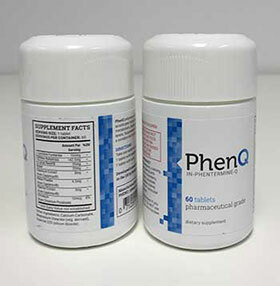 However, the product seems to have been designed to target body fat that has built-up around the hips and waist. It’s also sold with the promise that it will help you to lose up to 6X more weight. A promise like that has no significance because it’s a comparison to an unknown factor. Six times more weight than what? The amount users were initially losing? This would be different from one person to the next. We have to admit we are not certain what we are dealing with here. All three inclusion rates look unusually high. When added together, the total weight is 6.025g. Even if the figures provided are for the full daily dose (2 tablets) that would mean each tablet would be over 3g in weight. It seems probable that Naturopathica are using a high concentration extracts that are smaller in size but intended to be the equivalent of the inclusion rates provided. Presumably that’s what all those “ext. equiv. to…” refer to. Although many people see turmeric (curcuma longa) as being nothing more than a cooking spice, that humble-looking yellow powder, that can be found sitting in so many kitchen cupboards, is capable of providing a number of health benefits and is also alleged to have anti-ageing abilities. It’s good for reducing inflammation, can boost cognitive function, and even fights depression. 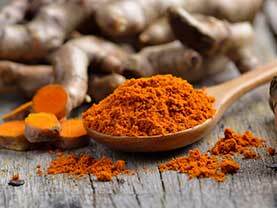 All these abilities come courtesy of the fact that it contains a compound called curcumin. Research shows curcumin also has fat fighting abilities, but there’s a problem here. The body does not absorb curcumin well. Even when a lot is consumed, most of it passes through the body undigested. There is an answer to this problem. Scientists have discovered the piperine alkaloid provided by black pepper can increase curcumin absorption by up to 2000%. Unfortunately, the FatBlaster Clinical formulation does not contain any piperine, so Naturopathica could be accused of fumbling the ball. The leaves of the drumstick tree (moringa oleifera) are known to be very nutritious and research shows they can help reduce inflammation, lower cholesterol, and provide a number of other desirable benefits. Drumstick leaves also provide a fat burning chemical called chlorogenic acid, but diet pill manufacturers wishing to take advantage of chlorogenic acid’s ability to support weight loss generally choose to use green coffee bean extract because it has a better reputation for delivering results. This diet pill formulation looks a lot like an Asian recipe. First the turmeric, then the drumstick, and now we have the curry. In fact, the leaves of the curry tree are often used as a seasoning in Indian and Sri Lankan cooking. They are unlikely to do much to spice up a formulation like this, but curry leaves are believed to be capable of lowering cholesterol and they have a long history of use as a treatment for gastrointestinal issues. Animal-based research suggests curry leaves may be good for reducing inflammation too, but they are not normally associated with weight loss. Usage Instructions – FatBlaster Clinical should always be taken with water and the recommended dose is one tablet, two times per day. We were unable to find any FatBlaster Clinical customer reviews. FatBlaster Clinical contains a pretty unusual blend of ingredients, only one of which (turmeric) is commonly-used in products of this nature. We suggest all potential users, play it safe and forgo using this product until they have obtained a doctor’s approval. Can be purchased from the FatBlaster website and many other online and offline pharmacies. Naturopathica does not provide any of their FatBlaster products with a money back guarantee. FatBlaster Clinical does not contain a particularly impressive line-up of ingredients, so it’s not surprising the product has not been a success. The formulation could be greatly improved if the drumstick leaves were replaced with green coffee bean extract and the curry leaves swapped for a dose of piperine. Why Naturopathica were claiming this product could target fat around the hips and waist is a complete mystery, but the fact they appear to have dropped the product speaks volumes for its abilities as a weight loss aid. FatBlaster Clinical is unlikely to be a weight loss product that is going to be missed. 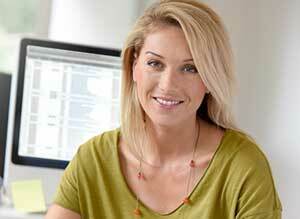 We rate products in accordance to what customers tell us!